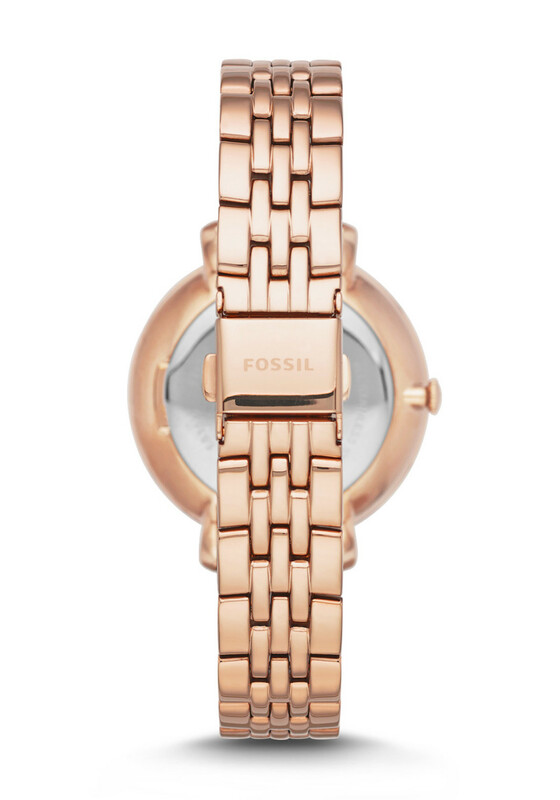 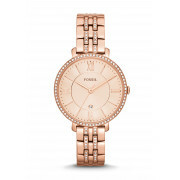 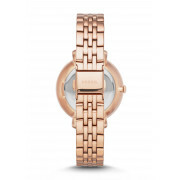 In a feminine rose gold stainless steel, Fossil presents the Jacqueline watch with crystal settings in the face trim and strap. 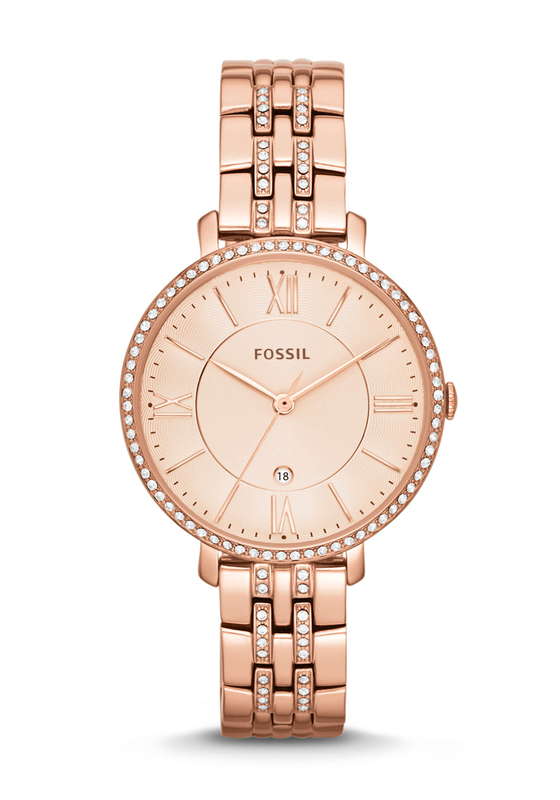 Featured with sleek roman numerals in the dial it has three hand movement and a date display. 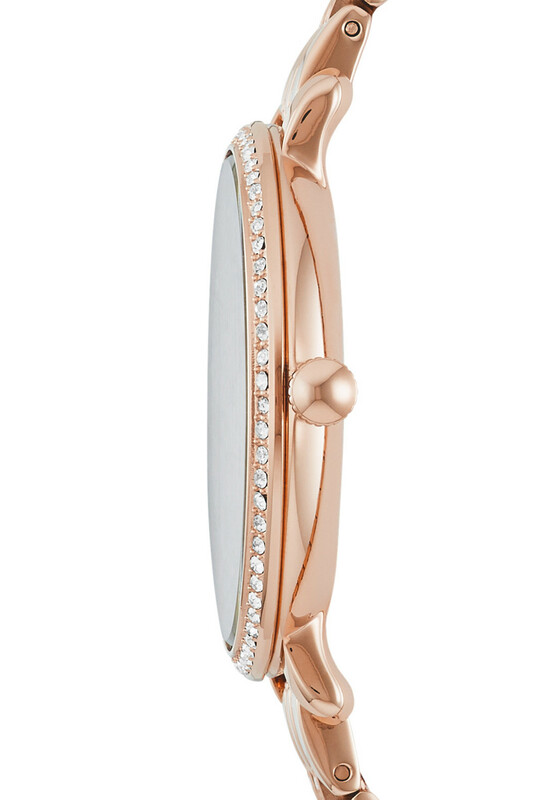 Timeless elegance that is a must wear essential.